Individuals diagnosed with ADHD have tremendous potential, but live in a society that has not adapted to take advantage of their talents. Traits these individuals exhibit include creativity, laser-sharp hyper-focus, determination, and persuasiveness. They have a strong entrepreneurial spirit and a zest for life. Unfortunately in our current society, the demands of college and the rigidity of the workforce do not always leverage the strengths of divergent thinkers. Studies show that only 5% of students entering college who are diagnosed with ADHD will graduate with a degree. This is a staggering statistic. And, less than half are able to hold down a job, as employers typically do not provide accommodation through broader office hours, progress monitoring, and environments conducive for them to thrive. This issue is a challenge for our generation – 20% of boys and 10% of girls graduating from high school today have ADHD according to the Centers for Disease Control and Prevention. On the employment side of the equation, 26% of adults between the ages of 25 and 34 are non-employed today. Nearly all ADHD and dyslexic individuals fall into this group as the vast majority of them are unable to graduate from college, which is clearly a significant disadvantage in a restricted job market. In the United States and around the world, we have an abundance of young people that need to be brought out of their parent’s homes and basements and into our workforce before they become permanently unemployable. Inventive Labs is aimed at doing just that! Inventive Labs is structured to cater to the way individuals with ADHD and/or Dyslexia think and work. Inventive Labs is taking a significant step to offer opportunities to people with ADHD and dyslexia. They call these individuals “Inventives!” Inventive Labs is creating a research lab that will allow the Inventives to flourish. It is a multi-track research center that will foster investigations in Science, Engineering, Inventions, Medicine, Fashion and the Arts. 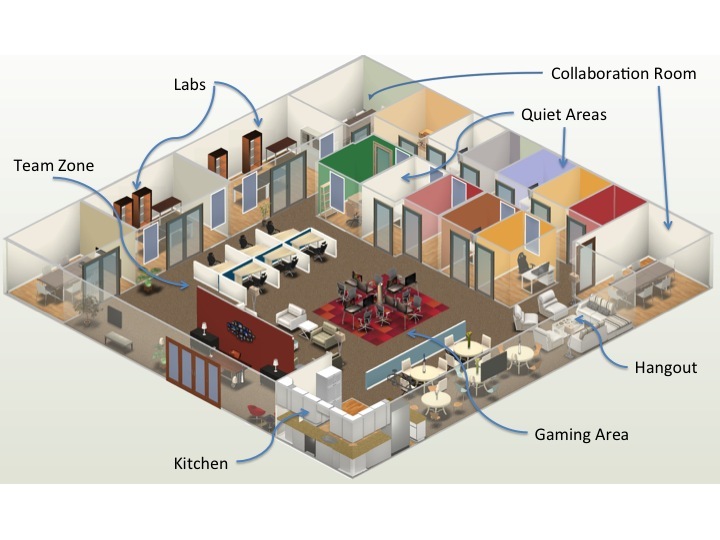 The environment will be fast-paced in a 24/7 facility with meals, recreation spaces, and quiet areas for hyper-focused investigations. Facilitators, Life Coaches, and Psychologists will be actively involved in the process. The goal is to help the Inventives create and follow through with their ideas, either as a team member or leader of a business that spins-off from Inventive Labs. The Lab is also looking to partner with local community colleges for Inventives to earn college credit for their efforts if they choose to re-enter college after completing the program. The Inventive Labs team will help facilitate this transition. The program for each Inventive will be fee-based and will last for up to 2 years. They will also get a stipend to live away from home and establish themselves in the workforce and society. I am truly excited about this program and the potential it has to foster great success in kids with learning disabilities — kids that otherwise might end up needing parental support as adults or always struggling to secure and maintain mainstream employment. Inventive Labs will launch in the Boston area in the Fall of 2014 and grow to locations throughout the US, and ultimately worldwide. For details on the program and to apply, visit InventiveLabs.org.